We were sad to say so long to Buenos Aires but the journey goes on. 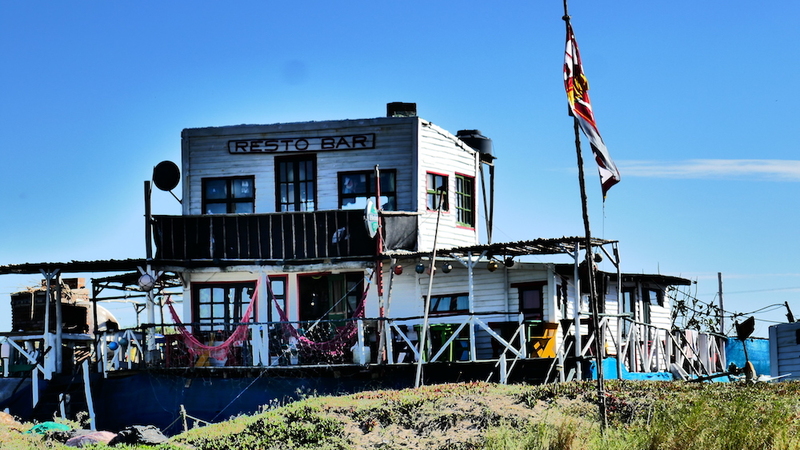 So after embarking the ferry, we headed 50km to the east bank of Río de la Plata and back in Colonial’s Unesco World Heritage Barrio Histórico. This was our second time here (click SO2Ep3 for info about our first visit) but like before, we were welcomed by heavy rain and for one more time we weren’t able to watch the riverfront’s venue, the Uruguayan custom of applauding the setting sun. 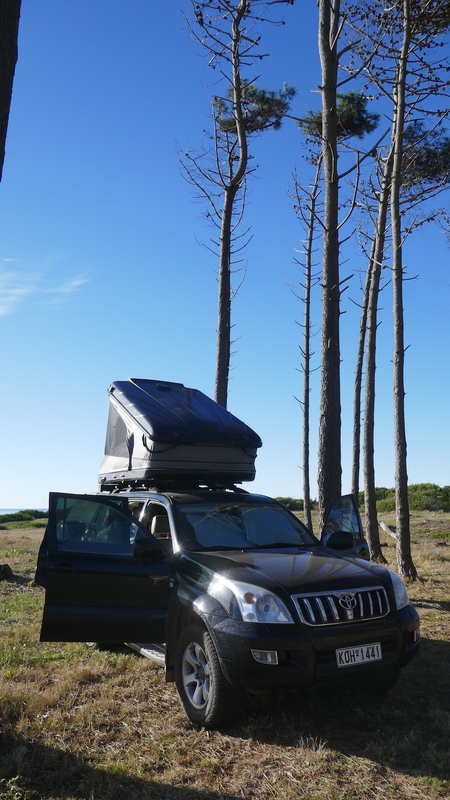 Without much delay and definitely no regrets, since we both hate rain, we pushed another 180km west to Montevideo. Here we chose to spend the night in one of the famous overlanders’ hangout where we found more than 20 overlanders, with their vehicles waiting to be loaded in the Grimaldi ferry, on their way back home. That was a really nice surprise, on the downside though (smart us, we thought we had skipped rain) it was here that the thunderstorm we tried to avoid in Colonia caught up with us. During that first night, we went through one of the worst storms in the trip and as we were in a tent, we hardly slept at all. Evidence of the storm’s enormous passing through force we encountered the next days as well, when we went through Punta Del Este. 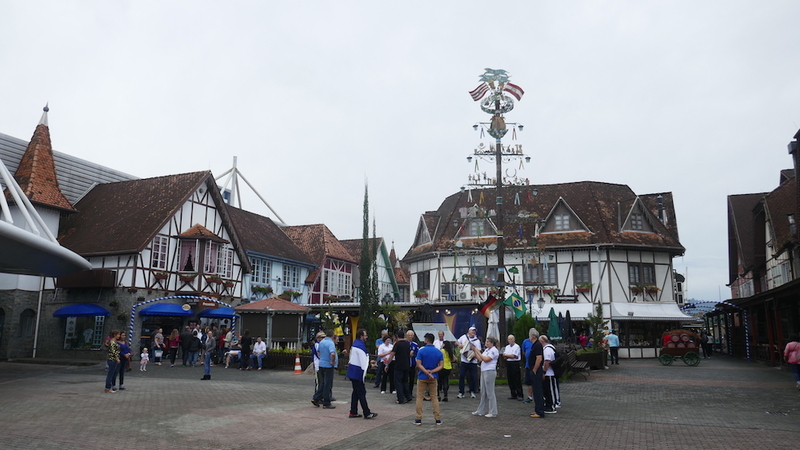 This time the town was completely deserted and was nothing like the fancy resort spot we had seen in February. Further north and after following Rochelle’s direction who wanted me to drive literally through the sea (No, we didn’t, we turned around) we stopped in the village of La Paloma that sits on a small peninsula. 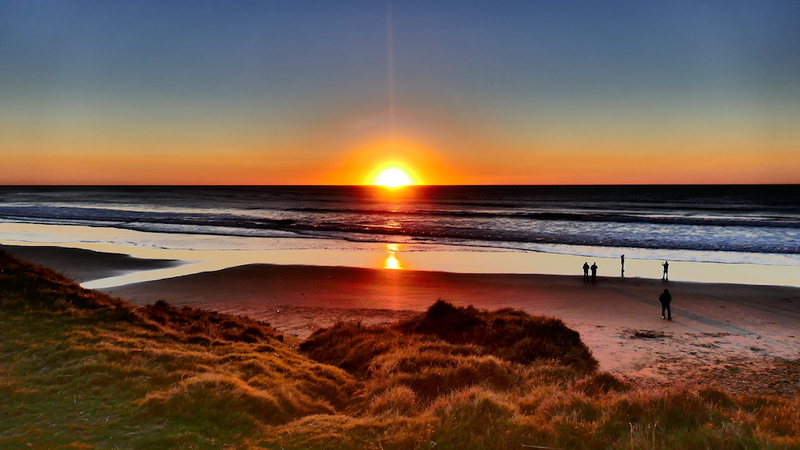 The town itself is rather bland and sprawling, but the surrounding beaches are spectacular and offer some of Uruguay’s best surfing. 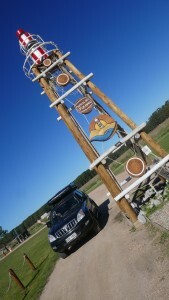 Our venture continued northeast of La Paloma, at 264.5 km, on Ruta 10. 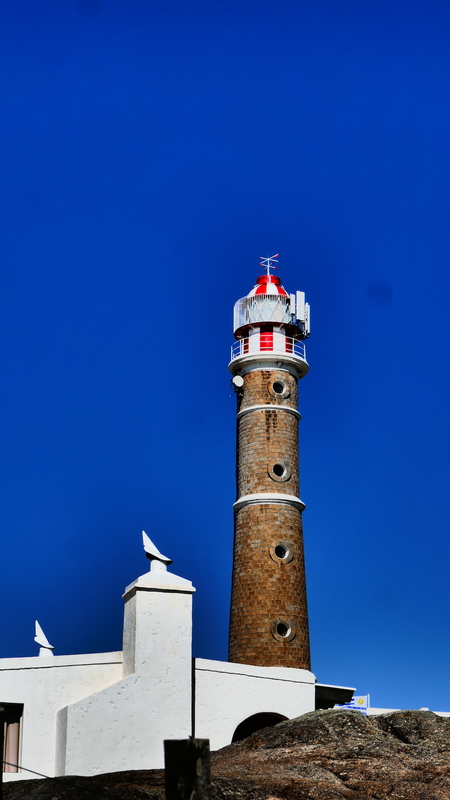 Here lies the turnoff to Cabo Polonio, one of Uruguay’s wildest areas, home to its second biggest sea lion colony, near a tiny fishing village nestled in sand dunes of a windswept point, crowned by a lonely lighthouse. It is a great setting in reality. In 2009, this region was declared a national park and the access with private vehicles was prohibited. Luckily for us, now you are allowed to camp in the visitors’ centre and visit the park as well as the village, on a bumpy ride with one of their modified off road trucks. 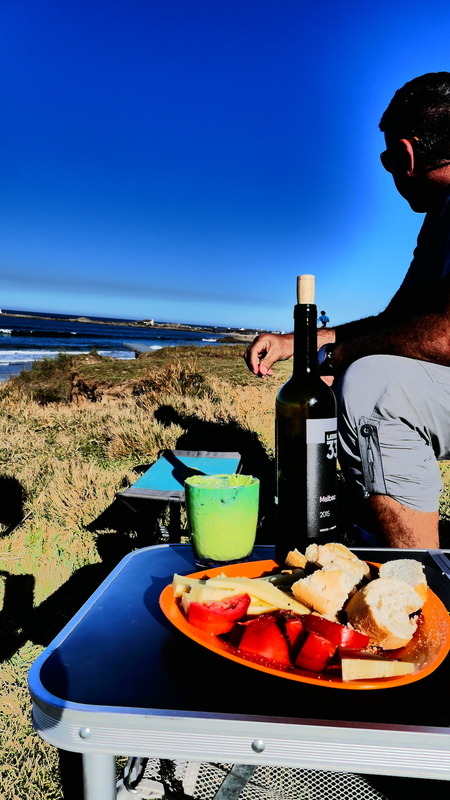 Despite the growing tourist visits (we met Brazilians that came here on their bicycles as the border is not far away), Cabo Polonio remains one of Uruguay’s most rustic coastal villages and definitely a memorable highlight, although we stayed only for a couple of days. Keep in mind that there are no banking services and the town’s limited electricity is derived from generators, solar and wind power. 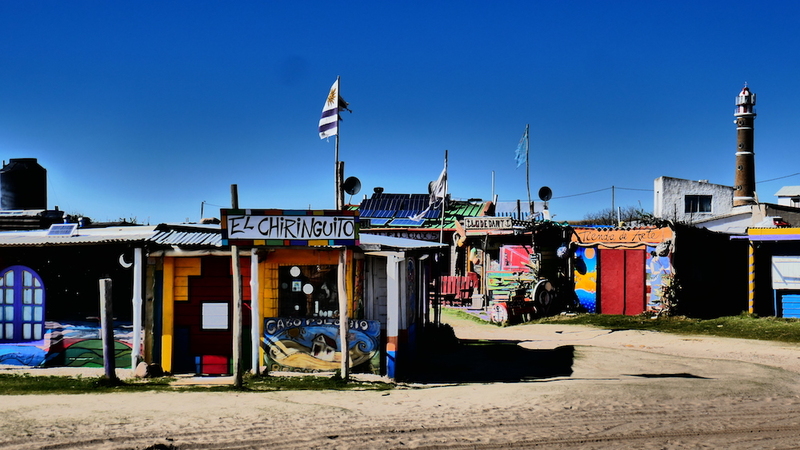 It is a 20th century live hippie village, as some of the locals mentioned and that by itself makes it worth checking it out. 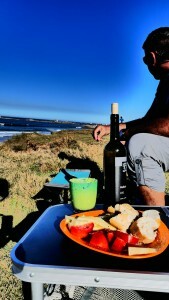 Next stop, Punta Del Diablo, once a sleepy fishing village, has now become a prime summer getaway for Uruguayans and Argentines, and the epicenter of Uruguay’s backpacker beach scene. 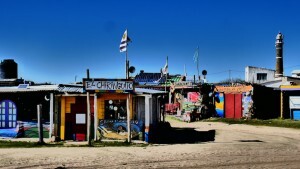 From the town’s centre, a sandy ‘plaza’ 200m inland from the ocean, small dirt streets fan out in all directions. 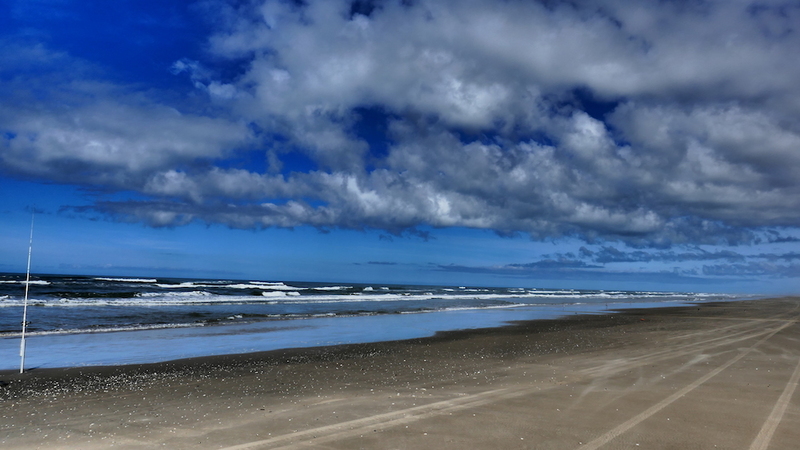 Waves of uncontrolled development have pushed the village further inland and along the coast in recent years, but the stunning shoreline and laid-back lifestyle still remain. To avoid the crowds, come outside the Christmas-to-February peak season. When we got there, it was way off that period and although we were there on a weekend, the crowds were affordable and great fun to watch. Here we free camped right on the beach and all we needed to do was to put our chairs in front of the water and watch the crowds go by!!! Great fun!!! The last but not least destination in our Uruguay beach tribute was the National Park of Santa Teresa. 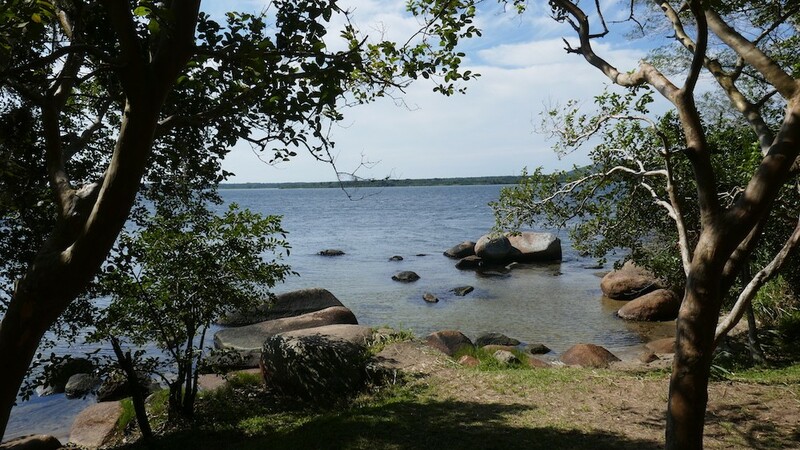 This national park lies 35km south of the Brazilian border, is administered by the army and attracts many Uruguayan and Brazilian visitors to its relatively uncrowded beaches. 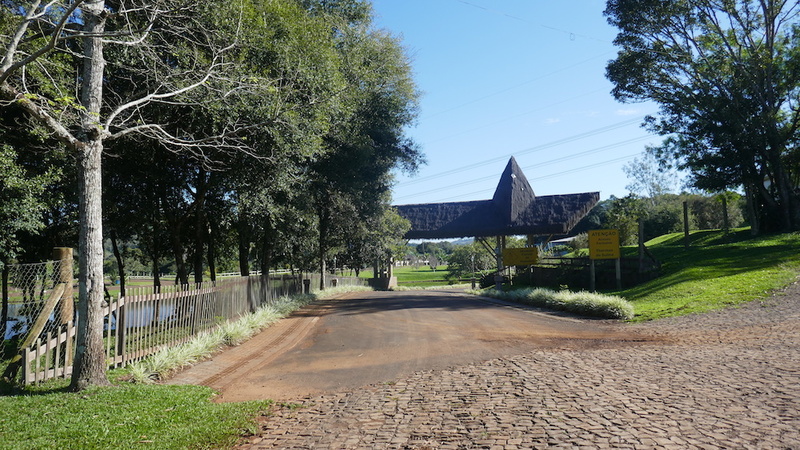 We passed the Capatacia (park headquarters), where there’s a phone, post office, market, bakery and restaurant, and headed straight for the park’s star attraction, the impressive hilltop fortress of Fortaleza de Santa Teresa. (The Portuguese started building the fortress in 1762 and the Spaniards finished it after they captured the site in 1793). After exploring different parts of the park, we headed to our final stop for the night at Playa Grande, a beautiful long stretch of sand that we had almost to ourselves. By the way, we didn’t pay here but as we found out later, it was probably by pure luck, as other overlanders told us later that day. 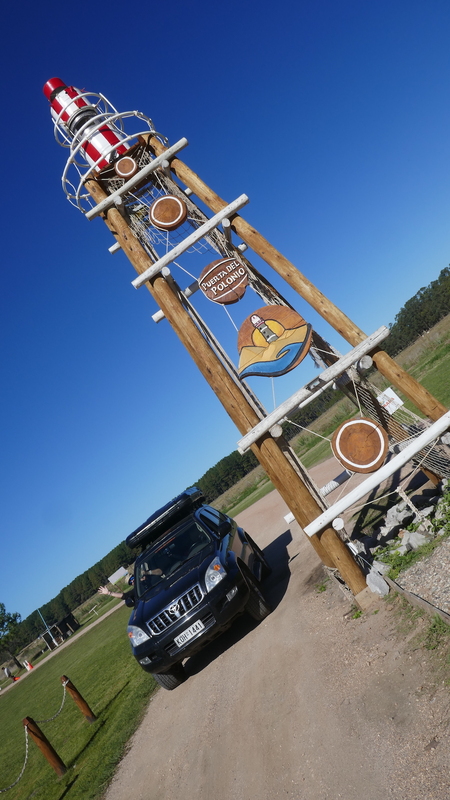 The next day we crossed the Uruguay-Brazil border at Chui, a duty free city that its main drag is seared between the two countries. The Uruguayan side is full of big department stores that sell everything, from booze and perfumes to high tech electronics. I assume that by this point you have figured out which one of us was extremely happy!!! So much so that Rochelle rushed us through and we forgot to stamp our passports out of Uruguay. After a couple of hours and about 500US dollars lighter from shopping, we managed to complete the formalities and enter Brazil officially. This was our introduction to Río Grande Del Sur, Brazil’s southernmost state and home to an independently minded population with cowboy culture. At this point, we got the bad news about Team DT Overland and their gear box failure. So we rushed north to Praia do Casino to meat up and help them out. A couple of days later and after a lot of negotiations with different local workshops, the decision was made. As the part didn’t exist in Brazil, a temporary fix on the gear box was obligatory just enough to last till they returned to Buenos Aires. 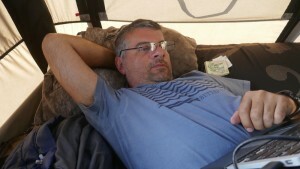 Their trip had to be paused but not ended. We promised each other that we would meet further north and we said goodbye. Following the coast up and after driving literally on the otherwise uninviting beach for numerous times, we reached Torres on the border with Santa Catarina. Torres is the exception to the state’s coastline. It’s not thrilling but a rather pleasant town. 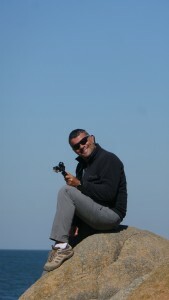 It has attractive, if crowded, beaches punctuated with rock formations and vegetative dunes. Praia Grande, the town’s main beach, is quite calm and is connected via small pedestrian paths with the smaller Prainha to the south and Praia dos Molhes to the north. 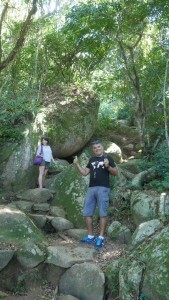 We didn’t spend much time in Torres as our destination was Santa Catarina. In case you’re wondering why, they say “Life’s a beach, at least in sunny Santa Catarina”, which boasts 560km of spectacular coastline. Does that answer your question? 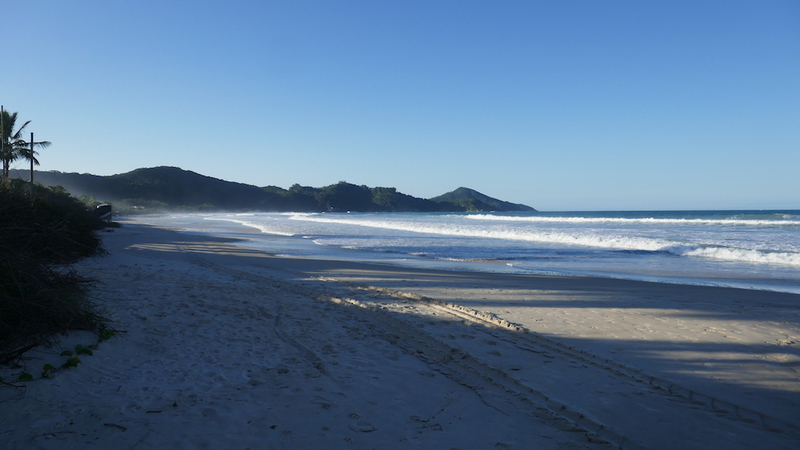 If you like your beach deserted, there is a spot of sand for you in the south of Ilha de Santa Catarina. If you prefer a party scene, head further north on that same island. If you’re all about big surf, it’s up in Guarda do Embaú and Praia do Rosa, two absolutely stunning surf villages south of Florianopolis. In other words, whatever type you are, just head to Santa Catarina, as Rochelle commented. Technically speaking, the whole island is Florianopolis. Its downtown Floripa, known as Centro, is both the political capital of Santa Catarina, the cultural capital of southern Brazil and the gateway to the rest of the island. The island’s bairros (districts) can feel like completely different towns, with their own distinct personalities and infrastructure. Here we had plans to meet up with Inca & Kim, friends of mine from Mykonos that made Florianopolis their home. 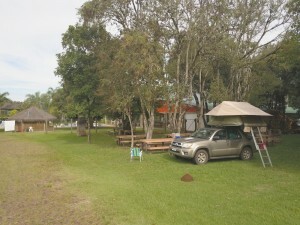 But as we arrived late, we spent our first night in the camping facing the Lagoa de Conceicao, outside Floripa. Here we first met Melissa and Derek but we will tell you more about them later. 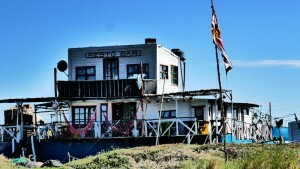 Luckily Inca and Kim’s house was also in the Lagoa de Conceicao, so the next day we were invited to stay with them. Great hospitality, we even got spoiled with a truly amazing dinner in their Japanese restaurant, ¨Black Sheep¨. Not that the other days we were starving, as Kim is a chef and a fanatic fisherman. I leave the rest to your imagination. We were spoiled!!! Ten splendid days followed with small explorations and quick overnights in the rest of the island. Ilha de Santa Catarina has a vibrant and varied coastline, from the calm, crowded bays of the north, to the wild, cliff-hugging beaches of the south. But it’s not just the beaches that make this island so enchanting. 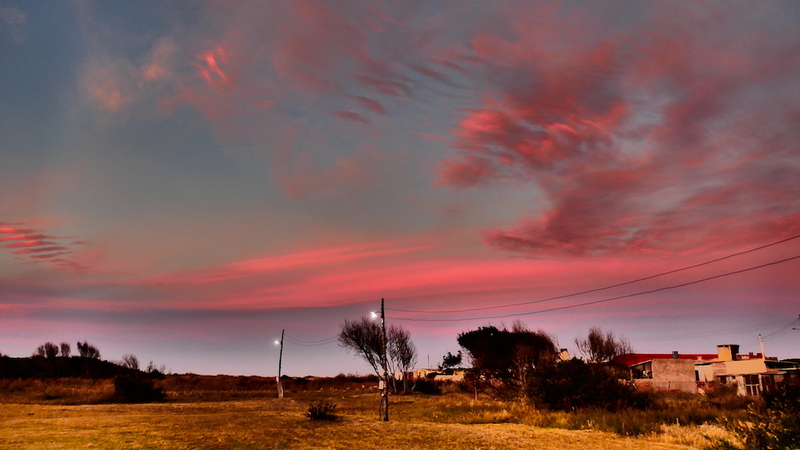 A forest of protected pines shelters the east coast, while the dunes near Praia da Joaquina create a lunar landscape. In one of the outings and while we were exploring the northern part of the island, we spent one night in wonderful Praia do Santinio, where we met up with Melissa and Derek. The place was wonderful but there was a very special reason why the next day we rushed to return to Kim & Inca’s house. Our new drone was delivered there and yes, it was my turn to be happy this time!!! Yeah, my new toy was finally in my hands!!! The truth is, two were delivered, one was for Kim!!! Sorry, Inka, it was very difficult to persuade him but it had to be done. Oops! 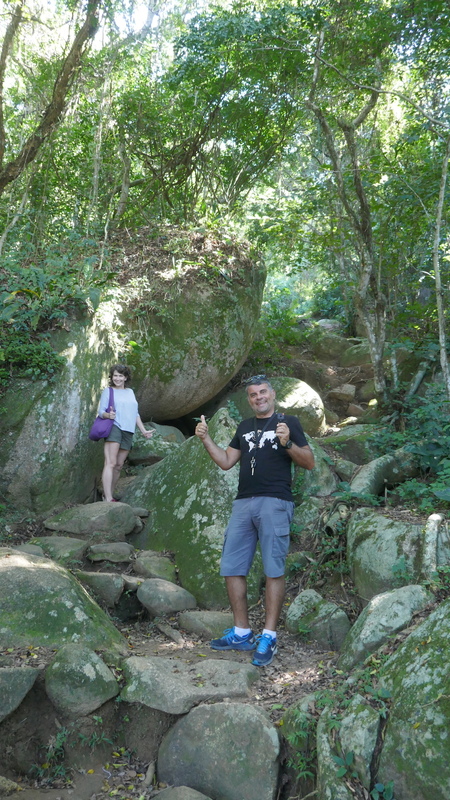 With a quick exploration of the south of the island, we completed Rochelle’s stated favorite island and I had to drag her away from it in order to explore the rest of the Santa Catarina coastline. Bombinhas with its unique sand dunes was one of the places we visited next before we reached Camboriú. 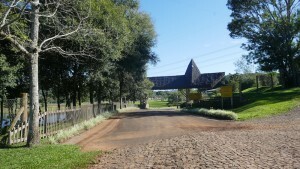 Balneário Camboriú (its full name) is considered a poor man’s Río. Indeed it boasts a giant Christ statue, beautiful beaches, funky nightlife and a long stretch of skyscraper-lined sand that suspiciously mirrors Copacabana when it comes to its name – Av. Atlântica. Truth be told, Camboriú is really a carbon copy of Copacabana except for one major difference. It’s much newer, so the city’s infrastructure, from gaudy high-rise hotels to trendy street-level bars, is all in much better shape. After all that, you can understand why we decided to stay a bit longer and yes, you guessed it right, for one more time we were joined by Melissa and Derek that from here onwards and for the next three weeks became our best travel buddies. 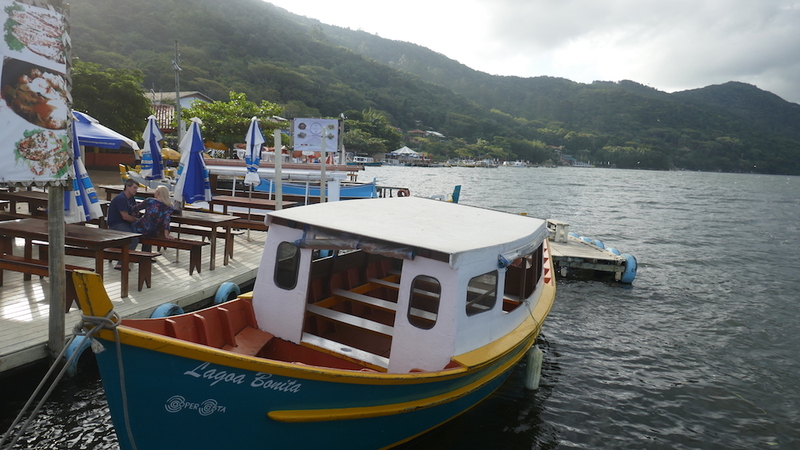 At this point we had to leave the sun and sand aside (dragging Rochelle for one more time) and head to the inland regions, where Santa Catarina exhibits the profound influence of its German ancestry. 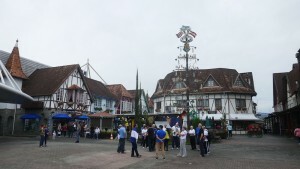 We visited Blumenau and other Alpine villages before we took the long way inland. The highlight worth mentioning here was the Termas Sulina (hot springs) before our final destination, one of the marvels of the world, The Falls de Iguazu. Short but exceptional, our pass through Brazil’s South was completed with our visit to the falls but I will stop here as I will continue with the Iguazu experience in our next post.